On arrival, transfer from Toronto Airport to hotel. Rest of the day is at leisure, to explore the cultural, entertainment and financial capital of Canada. Overnight in Toronto. After breakfast proceed on full day tour to Niagara Falls. Travel through the towns of Hamilton, St. Catherine’s and the wine region of the Niagara Peninsula. Included is a thrilling boat ride on the Hornblower Cruise. 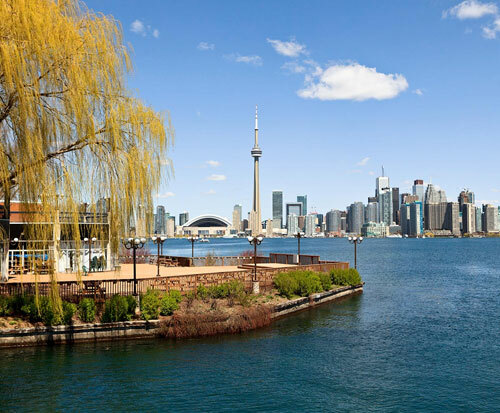 Other highlights include a meal and a trip along the beautiful Niagara Parkway which winds its way along the Niagara Gorge passing through the historic community of Niagara-on- the-Lake. Overnight in Toronto. After breakfast, morning is at leisure. Afternoon checkout and transfer to airport to connect flight to onward destination.